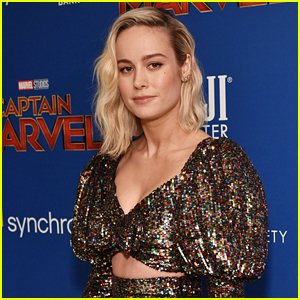 Chloe Bennet Photos, News, and Videos | Just Jared Jr.
Chloe Bennet hits the purple carpet with Olivia Holt and Aubrey Joseph at the Avengers: Endgame world premiere! The Agents of S.H.I.E.L.D. actress and the Cloak & Dagger stars stepped out for the event held at the Los Angeles Convention Center on Monday (April 22) in Los Angeles. 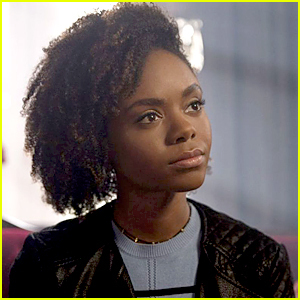 They were joined by Agents of S.H.I.E.L.D.‘s Clark Gregg, Ming-Na Wen, Elizabeth Henstridge, Henry Simmons, Natalia Cordova-Buckley, and Jeff Ward, as well as Cloak & Dagger‘s Emma Lahana and Ally Maki. Also in attendance was Drake & Josh star Josh Peck. FYI: Olivia is wearing Monse with Rachel Katz and Graziela Gems jewelry. Chloe is wearing a Blumarine gown, Kallati earrings, and Marco Bicego and Djula rings. Ally is wearing Stella McCartney with Giuseppe Zanotti heels, State Property earrings, Eriness Jewelry rings, and an Edie Parker bag. Meg Donnelly gets flirty with feathers on the red carpet while arriving for the premiere of Captain Marvel held at Dolby Theatre on Monday night (March 4) in Hollywood. The 18-year-old American Housewife star was joined by co-star Milo Manheim and Descendants‘ Booboo Stewart on the red carpet. Liza Koshy, Laurie Hernandez and Agents of S.H.I.E.L.D. 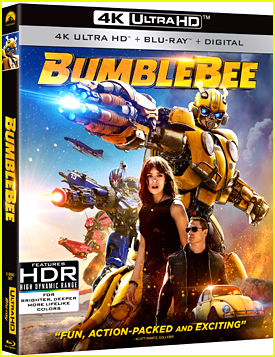 stars Chloe Bennet and Elizabeth Henstridge were also seen at the event. FYI: Chloe wore a stunning Galia Lahav dress, Sam Edelman heels, Dena Kemp jewelry, and Norman Silverman Diamonds for the premiere. Meg wore a Kelly NG Couture dress with Ame jewels. Elizabeth is wearing a Rami Al Ali dress and jewelry by Dena Kemp and Norman Silverman. Liza is wearing a Ronny Kobo dress. 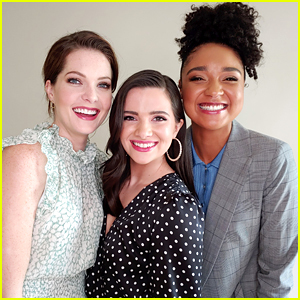 Meghann Fahy, Katie Stevens and Aisha Dee gather up for a cute photo during 2019 Winter TCA Getty Images Portrait Studio at The Langham Huntington Hotel on Tuesday afternoon (February 5) in Pasadena, Calif. The three The Bold Type actresses were joined by co-star Nikohl Boosheri, plus For The People’s Britt Robertson and Marvel’s Agents of S.H.I.E.L.D.‘s Chloe Bennet. Schooled‘s AJ Michalka and Brett Dier, and Party of Five stars Brandon Larracuente, Emily Tosta, and Niko Guardado were also at the party after their panel earlier in the morning. If you missed it, find out when The Bold Type is returning for its’ third season! Vanessa Morgan didn’t just wear one dress to the 2019 Golden Globes After Parties – she wore two! The 26-year-old Riverdale actress switched up her sleek black dress for a holographic-esque strapless one at InStyle And Warner Bros. Golden Globes After Party held at The Beverly Hilton Hotel on Sunday (January 6), and we are in love with them both! Vanessa was joined at the party by Ashley Tisdale, her husband Christopher French, Alexandra Chando, Kat Graham and Chloe Bennet. FYI: Vanessa‘s black dress was a Redemption gown, Brian Atwood heels, Rock Her earrings, Norman Silverman rings and Jimmy Choo clutch. Her second look was a Marc Bower gown, Norman Silverman diamond hoops, Rock Her ring, Edie Parker clutch and Jimmy Choo heels. Kat is wearing a Genny dress, Jimmy Choo shoes, and Lorraine Schwartz jewelry. Alexandra is wearing a Bronx and Banco dress. Chloe is wearing a Markarian dress and Kallati jewelry. Ashley is wearing a Chalayan dress and Dannijo earrings.